With premier New York City locations and over 200,000 Square Feet of shared office space, coworking space and meeting rooms, Virgo Business Centers empowers businesses with limitless options and flexibility for growth. To meet all your business needs, each location provides receptionists and support staff, comfortable and professional waiting lounges for your clients, as well as kitchens, conference rooms and executive suites. Our private office space and executive suites are available in a variety of sizes and configurations to accommodate your business needs. We offer a full menu of services including professional reception and waiting areas, conference rooms and meeting rooms, Internet access, telephone answering, mail and package pickup. Our shared office space is ideal for companies wanting to avoid long term lease commitments. Read more about our NYC office space options. 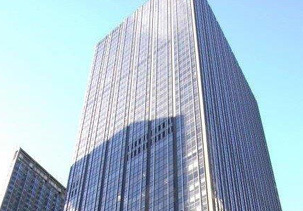 Need a prime location in NYC without the expense of an office? Our virtual office solution is perfect for those businesses desiring the prestige of a Manhattan location without the expense. We provide you with a New York City Business Address, mailbox, company listing, as well as mail handling and distribution. NYC phone numbers are also available. Read more about Virgo's virtual office benefits. 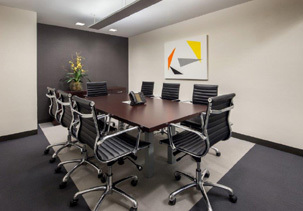 Virgo conference and meeting rooms are available at all our locations in NYC. They range in capacity from 5-20 people and are fully equipped with flat screens, whiteboards, speakerphone handsets and voice conferencing and provide access to secure, high speed internet access and cable TV. Our conference and meeting rooms are available by the hour or by the day. Read more about our meeting and conference rooms. Don’t just take our word for it. Read what our clients have to say!